Solar is seizing its chance to break into schools through state-of-the-art classroom designs, which are built from the ground up to solve issues that have plagued schools for decades. American Modular Systems (AMS) is a manufacturer focused on bringing the construction of classrooms into the 21st century, and is leading the charge to eliminate not only common structural defects such as imperfect lighting, poor acoustics, but also maintenance issues that can lead to air quality-related health issues such as asthma. All those problems result in lost learning opportunities for children. Through its Gen7 line of classrooms, AMS is working to make those issues a thing of the past. Gen7 classrooms are designed from the ground up to combat common structural problems using sustainable technology such as high efficiency mechanical systems and automated LED lighting. They marry these with the state-of-the-art design that exceeds the California Energy Code by 40 percent, then go even further by making the architecture ready to support a solar system to supply the school with clean energy, freeing up money previously spent on electricity to be used on other priorities, such as school programs that provide more educational value to the students. While most California schools have renewable energy in their long-term plan, it’s not always in their short-term budget. Because of this, Gen7 has future-proofed the design of the buildings with awnings and roof systems custom-engineered for PV panels that make it more economical to retrofit a solar system if funds are not available at the time of construction. The use of plug and play Enphase microinverters simplifies installation for both commercial and residential solar systems alike. Gen7 classrooms typically arrive with PV panels in place, allowing schools to start generating power the day they’re installed. Gen7’s PV system is designed to produce 15% more electricity than the classrooms consume, allowing schools to become Zero Net Energy (ZNE), completely covering their annual energy needs. In addition, Gen7 classrooms help teach children to make a difference by making monitoring energy usage and conserving natural resources a part of their daily life. 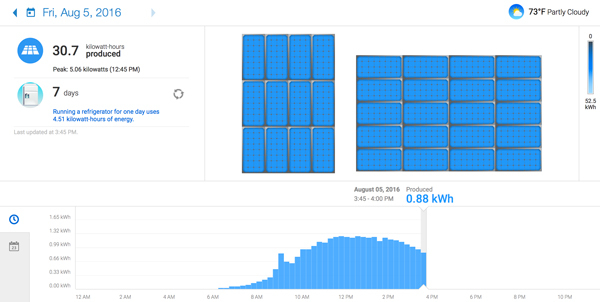 Using Enphase Enlighten Manager, students can monitor their power usage in real-time to see how an Enphase system can optimize energy production and consumption to meet their school’s energy goals. This empowers students to realize that they can make a difference, while helping their school combat rising energy costs. Gen7’s mission is a critical step forward in improving learning conditions, educating students about solar, and making solar technology more accessible to schools—all of which can encourage higher adoption of renewable energy technologies in all levels of education.